With the publishing of the list of species of Union concern there has been some coverage of the topic in the media. As it is likely to involve the management and control of various species it is likely to be a highly emotive issue among various stakeholders, farmers, animal rights groups, environmentalists etc., but before you fetch your shotgun and start discharging wildly at the grey squirrels in the Phoenix Park, what does the regulation actually mean? Figure 1. 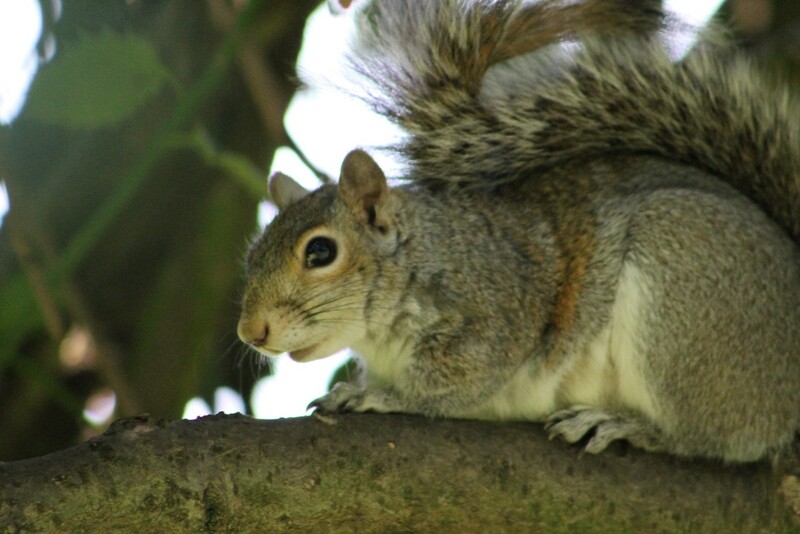 The grey squirrel was introduced to Ireland intentionally in the early 20th century and is a threat to the native red squirrel populations both here and in Italy and Britain where it is present. The Regulation (EU) No: 1143/2014 of the European Parliament and of the council of 22 October 2014 on the prevention and management of the introduction and spread of invasive alien species is the full title of the legislation and it actually came into force on the 1st of January 2015. However, without a list of species which were subjected to the regulation, which has only been published recently no action was required. In one sentence, it is the EU’s response to the social and economic impact, along with the threat to biodiversity and ecosystem services, of alien invasive species in Europe. Wait, what’s an alien invasive species? I’d hoped you wouldn’t ask…. Well it’s complicated. For the purposes of this regulation an alien species is “a species introduced outside its natural range by human intervention that is not native to the European Union”. Invasive alien species are “species considered to threaten biodiversity”, and of “the 12,000 species introduced to the EU 10-15% are thought to be invasive”. However, beyond a policy view point the idea of invasive species, whether invasive species have a greater impact than native species and the language used in the invasive species literature is widely debated (Davis & Thompson, 2000; Hulme, 2003; Larson, 2005). Specifically, criticisms involve issues such as invasive species are more likely to invade and have a greater impact on degraded sites (the argument about what constitutes a ‘degraded site’ is for another day), that the language used in invasive species literature is overly emotional and that invasion biology is intrinsically linked to xenophobia and even anti-Semitism, amongst others. What about natural migration or spread? The regulation only deals with species introduced in their environment as a result of human intervention. However, there is the caveat that this includes some species that have been introduced into the European Union by human beings (ruddy duck, rose ringed parakeet) that will colonise Ireland naturally from an area within the EU (for now) i.e. from the United Kingdom. It also is an issue for Ireland as species that are naturally present within the EU but are introduced to Ireland by humans are in somewhat of a grey area, though they may impact negatively on Irish species. I don’t like the list, where’s Japanese knotweed and the American mink on it? Well short answer, they’re not. Japanese knotweed will probably be added at some point in the future but there’s more research required in terms of risk assessing it for other countries. The American mink is one of a number of species that are likely to be involved in horse trading within negotiations as certain countries, e.g. Denmark, have large fur farming industries and are unlikely to want to ban the importation of mink to the EU. Enough talk can I shoot squirrels yet? Well probably, given Ireland’s poor record on wildlife crimes but with scientific backing not quite yet. Each country is now obliged to prevent the spread of species within its borders if possible, but certainly to other EU countries and to put in place management plans for species already widespread. As with most EU directives there will be wiggle room for each country to justify why the species is too widespread or difficult to control so Ireland may go down that route. For example, estimates of mink removal, Irish Wildlife Manual 40, put a 75% decline in mink abundance at €1,000/km, which would require ~€90 million, which is likely to be cheap when compared to removing a smaller species like the grey squirrel. This is without considering the political obstacles to culling such a ‘cute’ mammal species. 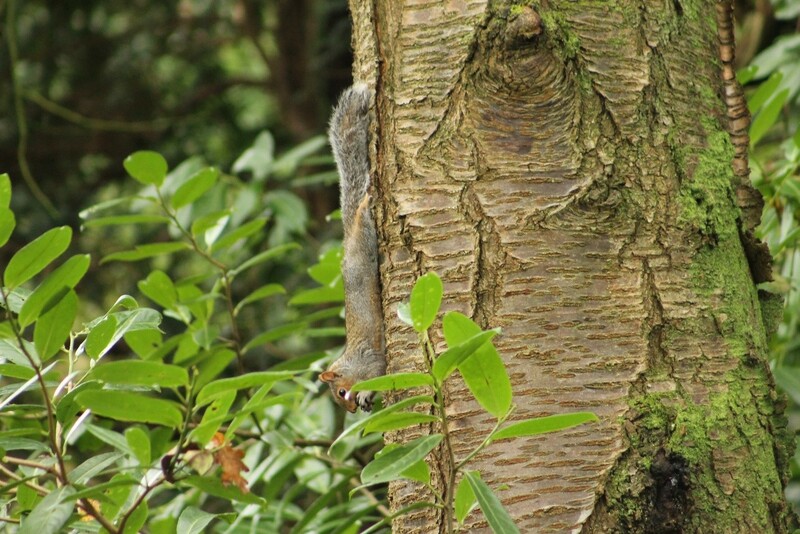 However, with the risk grey squirrels pose to the native red squirrel populations, both here and on the continent, it is unlikely countries where grey squirrels have yet to be introduced will be looking favourably on countries that allow them to proliferate. Figure 2. Around 40% of mammal introductions globally are thought to have been intentional with squirrel introductions occurring on at least 300 separate occasions. You work in the office of a church? Damn, I love the Michael Corleonean aesthetic.As for religion oppressing women — it doens’t even merit a secondary affirmation. If it isn’t obvious to someone that almost every mohi-tneistoc religion was dreamed up at least partially to put the threatened boot of mankind firmly on the throat of womankind, then nothing I say will convince him or her.Once again, I recommend one book and only one book…Sam Harris’s The End of Faith.It makes the danger of religion and its true believers crystal clear.